In 1976, Dr. Robert Walley published a paper in the British Medical Journal that exposed the discrimination he faced as a Roman Catholic specialist in obstetrics and gynecology. In the decades since, Dr. Walley’s account has served as a prescient illustration of the moral and ethical decline of obstetrics and gynecology, as specialists in the field stepped down from their once highly regarded positions of privilege, assisting women bring new life into the world, to positions of secular servanthood, with no reverence for human life, in order to maintain the status quo and keep their jobs with the National Health Service. Walley wrote, “The State of Health of Motherhood: Trends and Policies affecting Obstetric Practice” The future of obstetrics and gynecology. The question then became, how does one maintain their integrity in the field while continuing to participate in serving mothers and their children? Therefore, obstetricians have a special responsibility to provide care based on Catholic teaching on morals that are magisterially guided, as being not only true, but totally beneficial for the patients requiring medical assistance within the scope of their competencies. However, the introduction of contraception and the passage of abortion legislation in Western countries in the late nineteen sixties led to a profound change in the practice of obstetrics. Very soon, abortion and birth control became the basis on which maternal health care is provided. For those Catholics who decided to remain loyal to magisterial teaching, there were serious ethical and moral consequences, which had a profound effect on their future careers and families. As a consequence many changed their specialties, others left home and country to practice in freedom, others fell to compromise and few Catholics have since chosen to specialise in obstetrics. It soon became clear that there was a need for some alternative professional organization whose ethics were based on the teaching of the Church, to evangelise and support Catholic obstetricians and gynaecologists in training and in practice and to provide mothers and their babies with the best of care. This idea for a Catholic obstetrical group was first presented at a plenary meeting of the Pontifical Council for Justice and Peace, “Cor Unum” in the Vatican in 1982. In 1986, an international meeting of Catholic health care professionals was convened at a retreat centre in Rome. 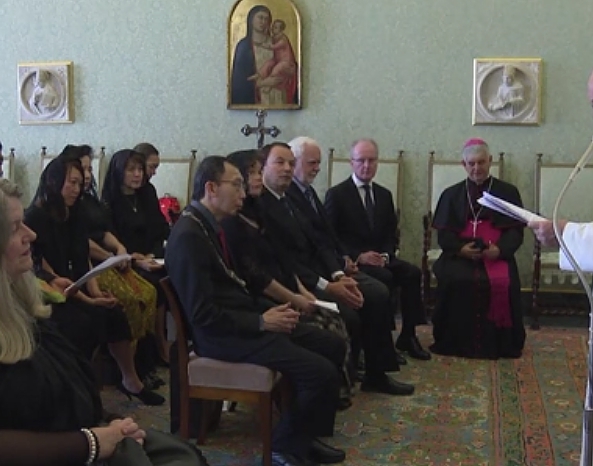 The 15 member group assembled included; a Ghanaian Bishop, the superior general of a medical religious congregation, the president of the Canadian Catholic Health Association and doctors and midwives from all of the continents. The mission documents were formulated for would lead to the formation of MCI some years later. While the seed was planted the progress of gestation was slow. 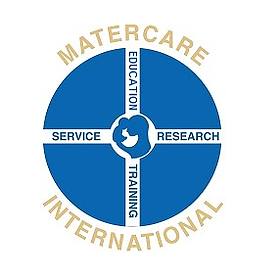 In 1995 a meeting of an international group of Catholic OB/GYNs were convened in Liverpool, England which led to the formal establishment of MaterCare International (MCI) Canada. 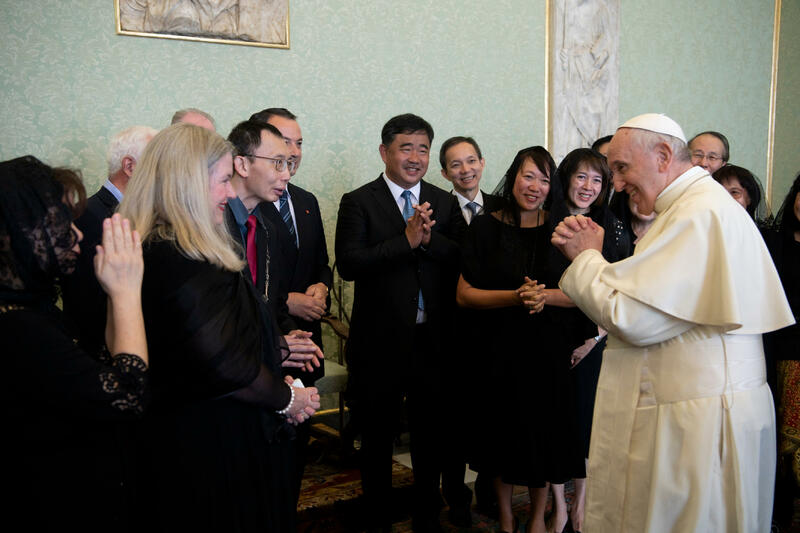 The meeting coincided with the appeal, by the late Holy Father Pope John-Paul II in the Encyclical, Evangelium Vitae (the Gospel of Life), for more to be done for life in particular by health professionals. A board of directors was appointed, by-laws were drawn up and approved, incorporation and registration as a charity obtained in the province of Newfoundland, Canada. An international office was established in St. John’s. National organisations were established in Canada, Ireland, the UK and Poland, (the EU), Australia, the United States, and Nigeria. “Your profession has become still more important and your responsibility still greater in today’s cultural and social context, in which science and the practice of medicine risk losing sight of their inherent ethical dimension, [and] health-care professionals can be strongly tempted at times to become manipulators of life, or even agents of death. The need for a distinctly Catholic response to maternal healthcare, voiced by Pope John-Paul II, became evident. MCI is fulfilling the request of Blessed John-Paul for an active international group of Catholic obstetricians to provide a professional voice for the Church and is developing diverse portfolio of accomplishments. ● Developed a model of rural essential obstetrics in Nigeria and refined it in the Diocese of Sunyani, Ghana. ● Project Isiolo provides essential rural obstetrical care in the Apostolic Vicariate of Isiolo, 2005 – present. ● Provided emergency care six days after the earthquake in Haiti with the Missionaries of Charity January 18 2010. ● Provided emergency obstetrical services at St Damian’s Hospital, Port au Prince following the earthquake with volunteer obstetricians and midwives from Ireland, Poland, the UK and the USA for 18 months. ● Developed, and funded the building and equipping of an obstetric fistula hospital in the Archdiocese of Cape Coast, Ghana. ● Conducted needs assessments for maternal health services in Albania, Rwanda, Sierra Leone and Timor Leste. ● A CALM (Critical Activities in Labour Management course for doctors and midwives in developing countries. ● A training CD in the surgery and nursing management of obstetric fistulae. ● Publications, Information DVD, and a website including an area dedicated to the evangelisation of our colleagues. ● Three randomised clinical studies to evaluate a simple, effect, safe and inexpensive, oral or rectal means of preventing or treating post-partum haemorrhage, 2002 – 2004. ● Seminar Naprotechnology. Nairobi 2012, with specialist faculty from Ireland, the USA, Nigeria and Canada. ● Essential obstetrical course for midwives and nurses, Timor Leste with obstetricians and midwives from Australia, Ireland and Canada. ● Produced three DVDs concerning maternal mortality and morbidity (obstetric fistulae). ● Advised the Government of the Republic of Georgia concerning the effects of abortion on the demography of Georgia and obstetric practice 2005. 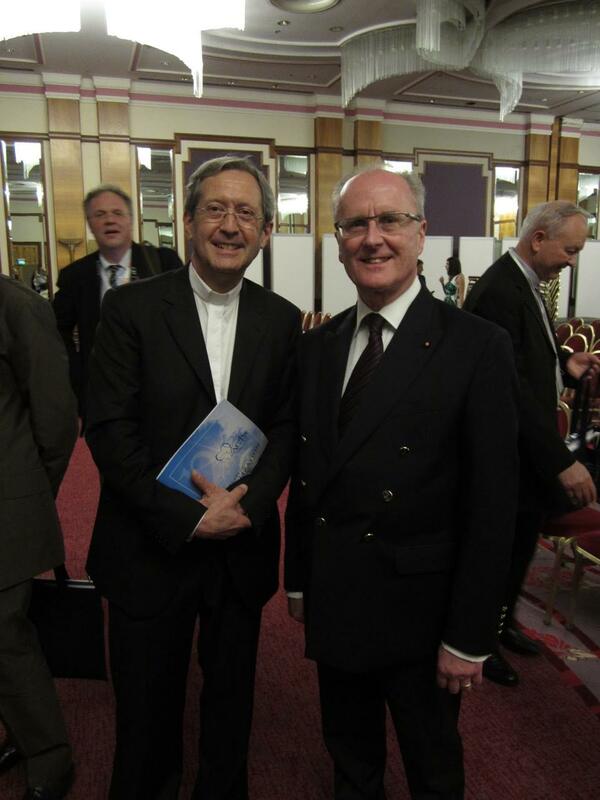 ● Participated in the Forum for Catholic Inspired NGOs organised by the Secretary of State of the Holy See 2007. 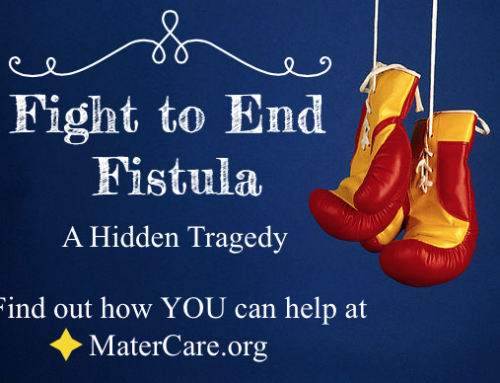 4 WHAT IS MATERCARE INTERNATIONAL (MCI) TODAY? MCI is an international group of Catholic obstetricians and gynaecologists, which has adopted a preferential option for mothers and babies. MCI’s mission is to carry out the work of Evangelium Vitae (the Gospel of Life) by improving the lives and health of mothers and babies both born and unborn, through new initiatives of service, training, research, and advocacy designed to reduce the tragic levels of abortion worldwide and maternal and perinatal mortality, morbidity in developing countries. MCI operates programmes and projects in nearly a dozen countries. 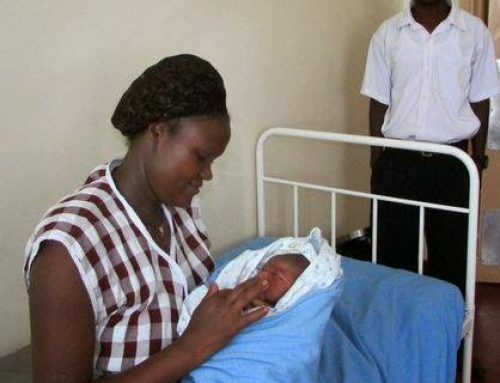 These programs range from education and training to essential obstetric services in some of the world’s poorest regions. MCI is dedicated to upholding the dignity of life and providing advocacy for women and their children.